For those of you who don’t know, I really enjoy doing obstacle course races. Not just any obstacle course race, mind you, but Spartan Race. These races are tough, challenging, and push you hard, but the best part is the amazing support system that Spartan offers. They post Workouts of the Day, Foods of the Day, motivational quotes, and offer practice sessions to “rip you off your couch”, as they tout in their slogan. They offer multiple races to target whatever level you may be at, with the Spartan Sprint (3-5 miles), Super (7-9 miles), and Beast (12+ miles). For the more adventurous, there’s the Ultra Beast (double the Beast course) and the Death Race. For the last two years, I’ve done the Texas Beast and plan on making it a yearly tradition, recruiting more friends each year to hit the course with me! Spartan Up! embraces three main concepts: Question your Assumptions, Less is More, Discipline is Everything. People think they can’t attain lofty fitness goals, but anyone can IF they keep in mind that it is truly a “way of life”. So many people want results NOW. So many companies advertise the shortest amount of time to see results. Some companies advertise that you won’t even have to put work in. But a real athlete and competitor knows that it takes a LONG TIME of working REALLY HARD to reach your ultimate goals. That’s why I believe it’s important to set “stepping stone” goals along the way to keep you hungry and satisfied at the same time. You won’t always have successes. Sometimes, maybe even most of the time, you will experience failures. How will you cope? Will you make it a learning experience or will you let it bring you down? What can an obstacle course teach you? It can help you recognize your limits, learn when to hold on and when to let go, when to ask for help, how to be a good teammate, how to analyze a situation, and how to move on after failures. Spartan Races aren’t just for your body. You strengthen and quicken your mind as well. Decisions made in the mud, with barbed wire pressing into your back, in cold weather and cold water help you make decisions efficiently in other areas of your life. The Spartan Race is aptly named, and reminds us of the Spartan philosophy that to “win on the real battlefield, you must first win on the battlefield of your mind.” The Spartan Race makes you think. Makes you analyze your situation. Makes you doubt yourself at times. But ultimately, it helps you win, whether that’s your age group, your battle with weight, in the classroom, or on the job. This shows us that everyone has a story. Everyone has their own personal obstacles. But seeing people like Michael help us put our problems, challenges, and setbacks into perspective. People often say they just don’t have time to workout every day, yet I’ve never seen a schedue that absolutely doesn’t allow it. If you are organized and driven enough, you wil make time. Is it your body that needs to be changed? Or is it your attitude? You may have to start with the latter first. Many people think you can’t be fit without a gym, but that’s simply not true! 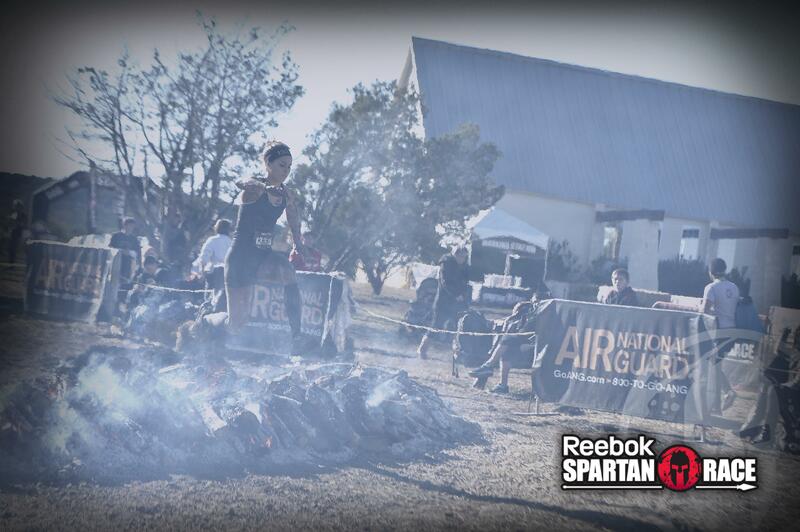 The Spartan Race is an extremely challenging test of your physical fitness, and you can train for it anywhere. The necessary equipment for most of the Spartan workouts include your body and maybe a rock or branch to use for weights or pull up bars. Spartan workouts literally leave you with no excuses not to do them. So view the synopsis, grab the book, and sign up for a race. It’s time to get moving. Spartan Up!